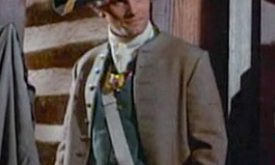 This eight-hour TV mini-series dramatizes the early life and career of the American General and President George Washington through his participation in the Revolutionary War. Viggo Mortensen appears as Lieutenant LeBoeuf. 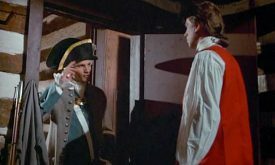 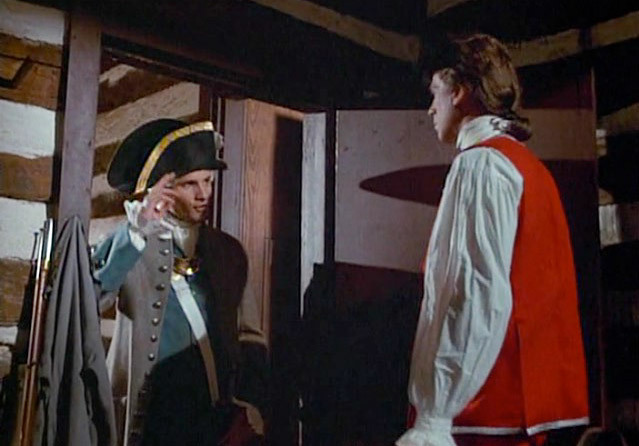 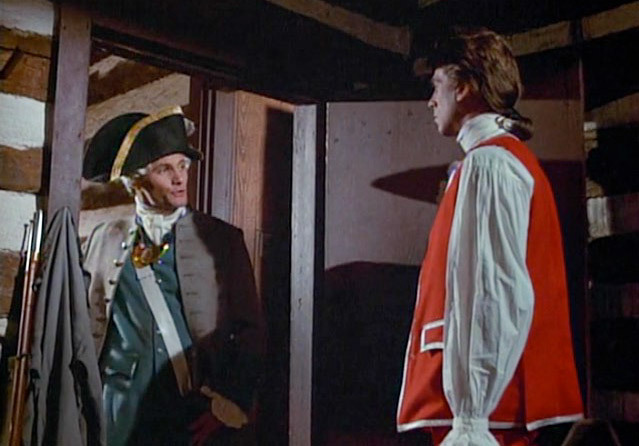 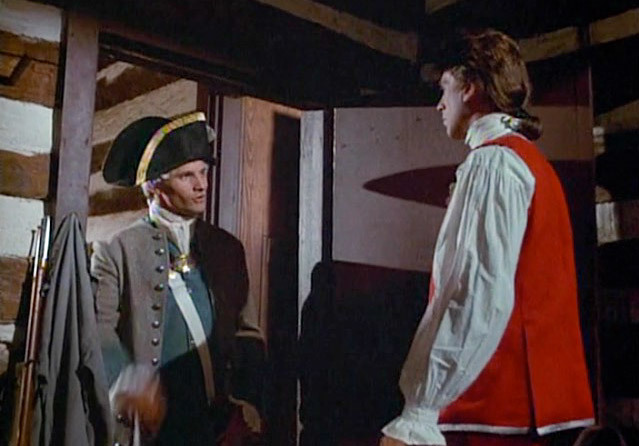 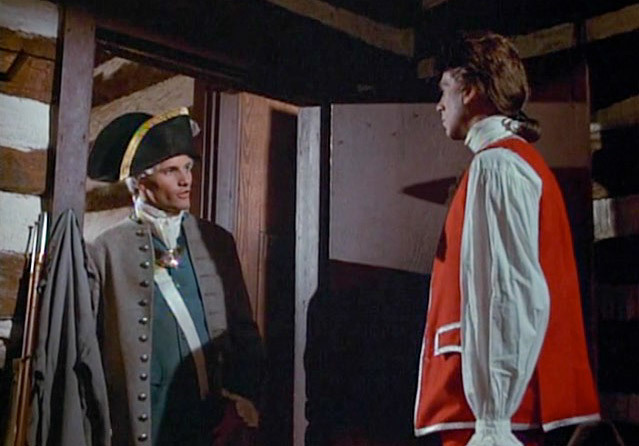 He salutes and, in a French accent, delivers a message to Washington (Barry Bostwick) from the French commandant. 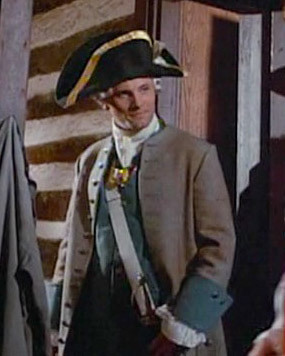 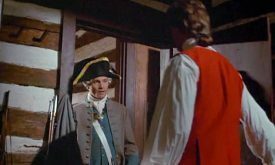 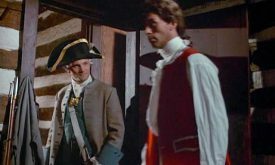 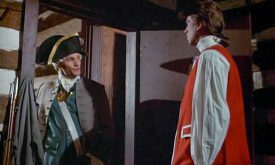 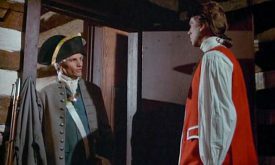 Though Witness is rightly credited as Viggo’s first (released) film appearance, George Washington was Viggo’s first time on-screen. 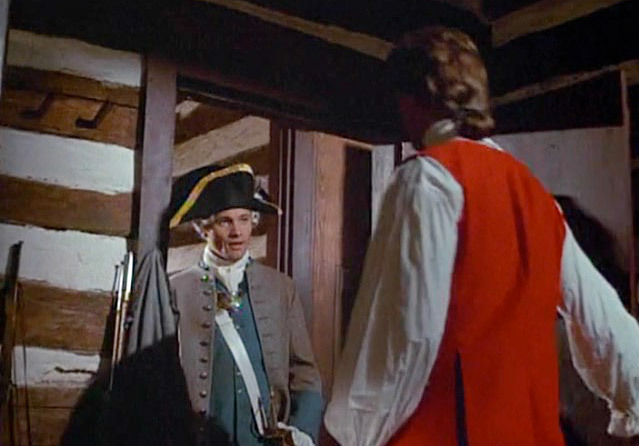 The rolling credits list him after each installment of the series, though he was only in the first. 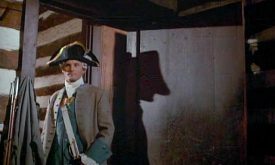 Unfortunately his name is misspelled as “Vigo Mortensen.” And IMDb says he plays “Lieutenant at LeBoeuf;” we think the “at” is an error but since he is never introduced, it’s hard to say. 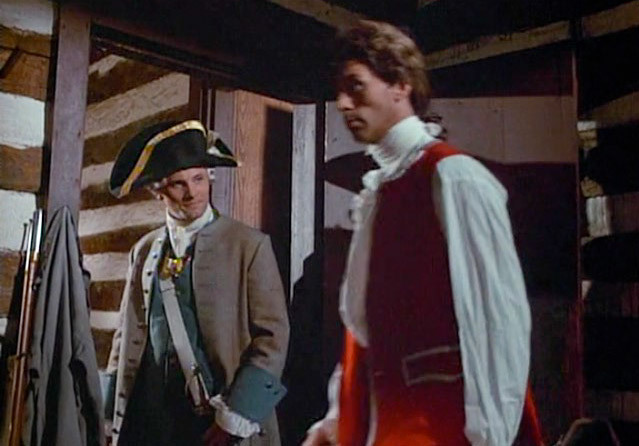 We captured these from the remastered mini-series DVD set that’s available from Amazon. A hint if you’re looking for Viggo in the DVDs: in Part One, Disc One, go to 48:53. 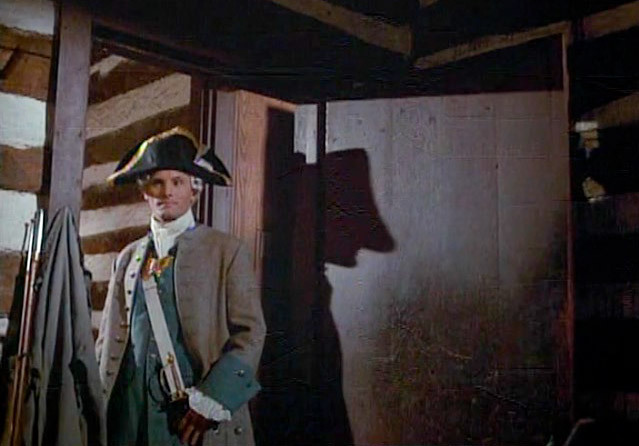 Don’t blink; it’s all over in less than 8 seconds. 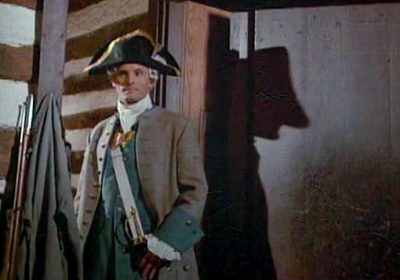 Images © MGM / CBS Television.